If you haven’t started using student data folders, it is a tool I highly suggest. 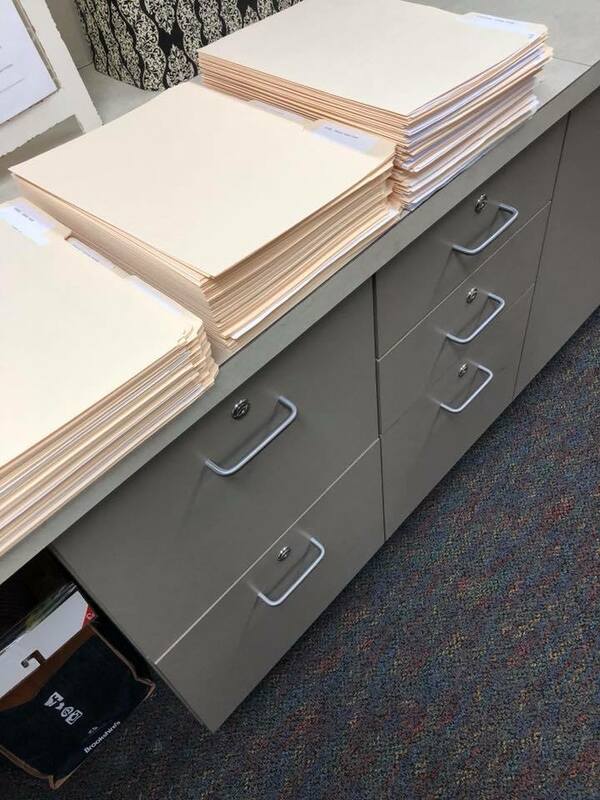 These folders are in the hands of the students. They’re tracking and monitoring their own data. Teachers debrief with students after checkpoints and have critical conversations about their growth. 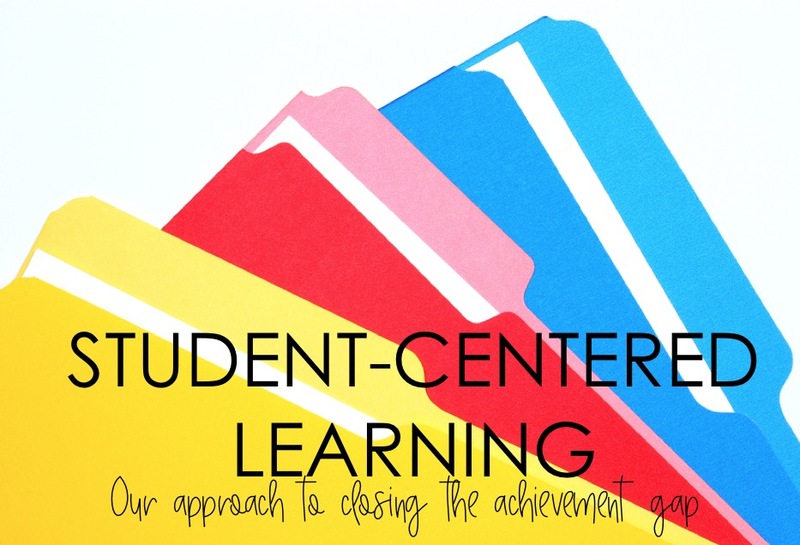 Students recognize areas of their own strengths and areas to improve. The folders are the used to transform small group instruction that is designed specifically for their needs. Data is useless until it impacts the instruction. 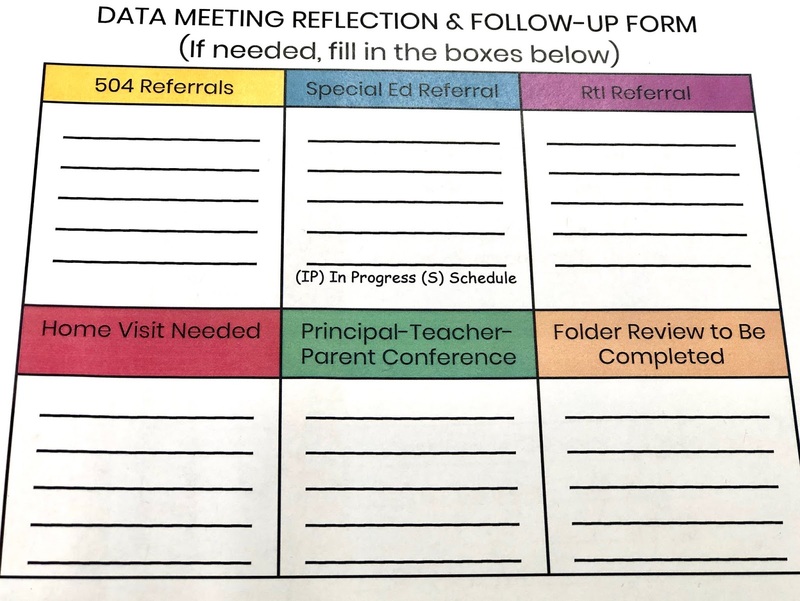 If the idea of using data folders sparks your interest after reading this post, I highly recommend the book by John Hattie- Visible Learning for Teachers. In reality, I'm sure you could use any forms of data you have- content-based assessments, weekly assessments, progress monitoring, or even state data. The big ticket item is to locate data that is relevant to reach the goals or your desired outcome. For me, we needed to make a focus on individual student needs and less whole group instruction. We have access to a data management system called DMAC. We use DMAC to generate all of our content-based assessment reports. After each assessment, we have data at our fingertips in a matter of minutes. 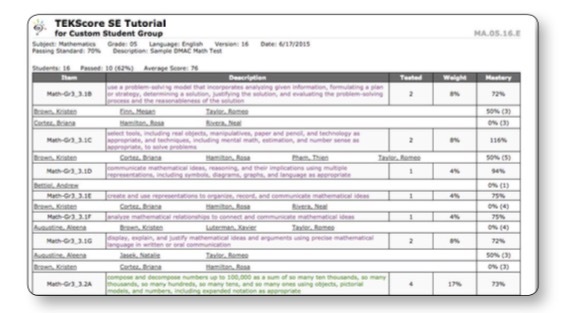 Here is an image of the reports I generate for each student. Image provided by DMAC demo. 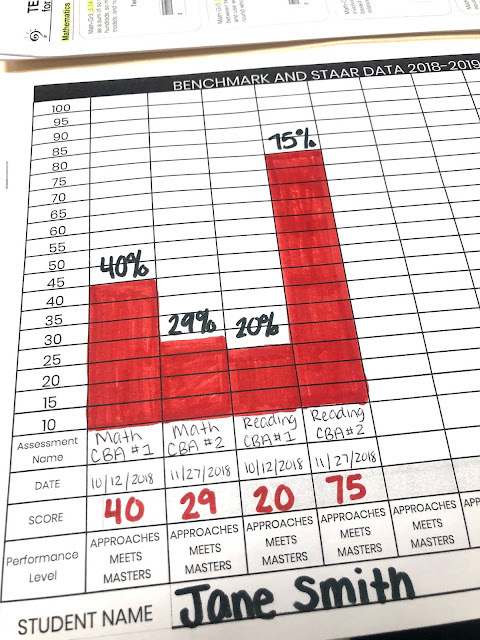 This data allows us to see the standards in which the student has mastered and the areas in need of assistance. The reports are color-coded. If printing in color is an issue for you, black and white copies will work too. I had to forgo color as well. Student-friendly data is key. Not all data is readable for students of elementary age. The report shown above is very understandable. Teachers meet with students either one-on-one or in a very small group. The teacher helps the students understand how the read the chart. Conversations begin to happen. 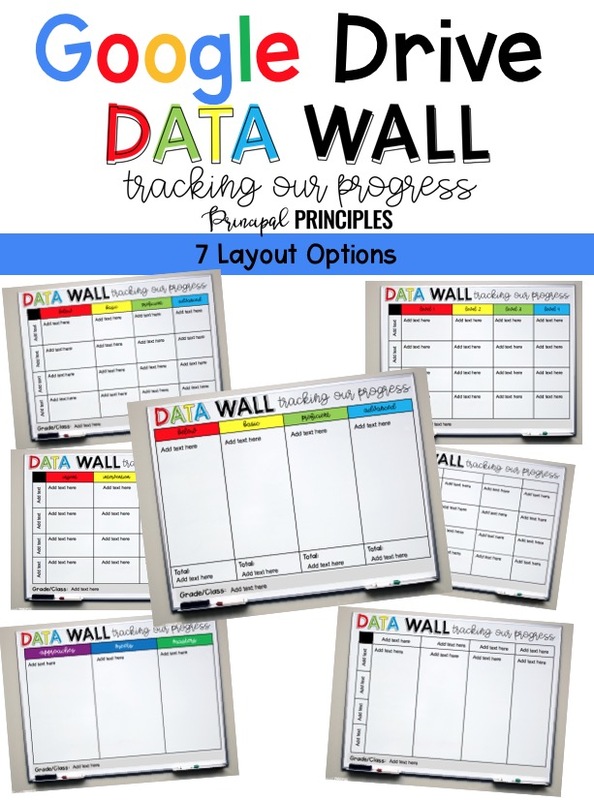 Locate the data for which you want to share with your students. Build a folder for each student. We are only focusing on reading and math at this time. I recommend starting small as well. Talk to your teachers about this process. Model how to have a student data conference, if needed. Provide assistance in providing targeted interventions for students who have not mastered standards. Make groups that are flexible or more fluid-like. This will allow teachers to pull students each day based on the standards that are below proficiency. Managing all the information and knowing what students all need was the biggest question and concern from my own staff. I tried to make this easy as well. DMAC will run a report and generate a list of students who are below proficiency in each standard. This helps teachers pull students based on their needs. I know they do not have time to analyze every folder and make their own list. That is another wonderful part of DMAC. Most data management systems will do this. Image provided by DMAC demo. The folders will stay with the teachers and not in the desks, lockers, etc... 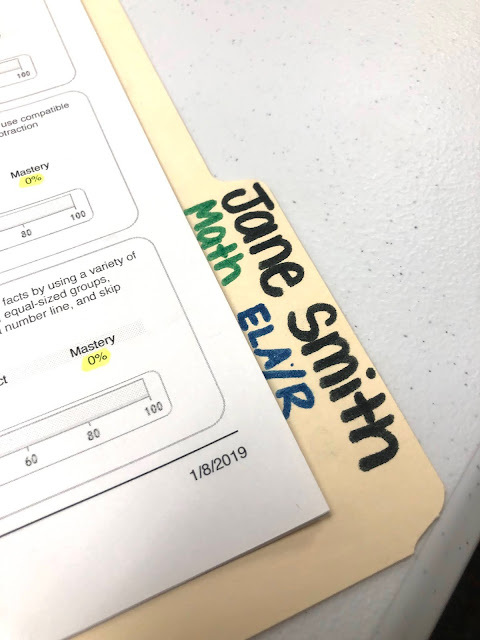 Since we are departmentalized and change classes, we decided to have one folder for the reading/ELA teacher and one folder for the math teacher. Remember, we decided to begin small and work on reading and math at this time. The file folders are the very inexpensive manilla office folders. Next year, I plan on making this a school-wide goal as I have always done in my previous districts. Year One: I gave my teachers half-day subs so they could use the time to look over the data and make plans for instruction. This is a lot of information to hand to your teachers. Be understanding of the time that this takes to do it right. Year Two: I asked a former teacher (also a sub) to come up and create these folders since she was a teacher for me last year. 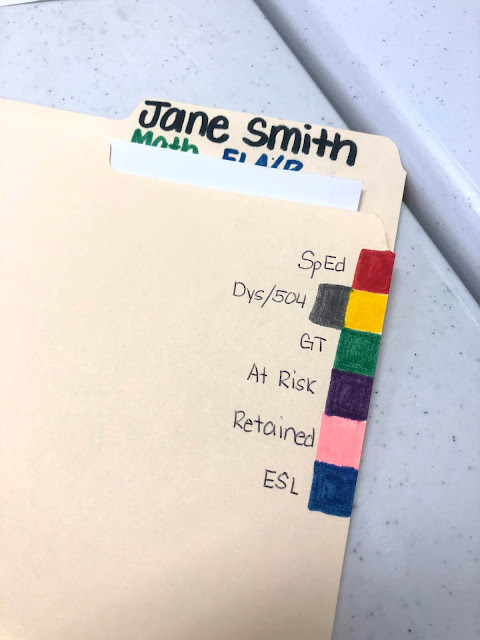 She was familiar with the process and used the folders in her classroom. Here are some resources that may assist you in getting started. 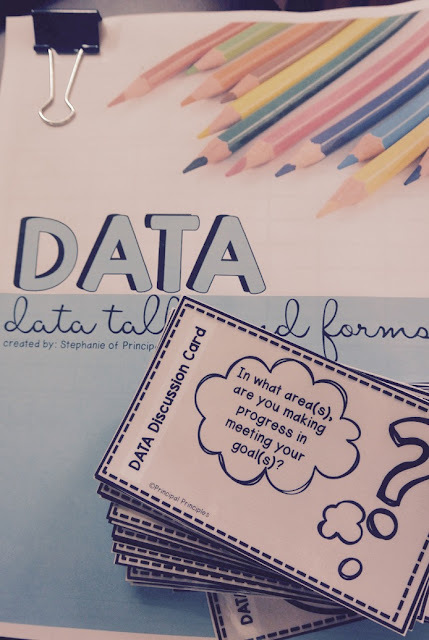 These data discussion cards have been a big help to me over the years. 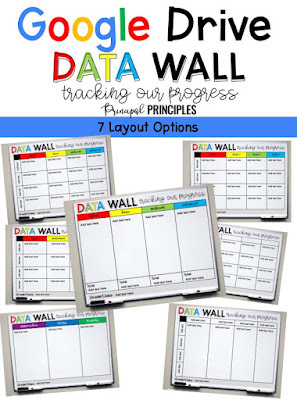 This data wall (digital version) is a great resource for teachers to group their students. I have a love with Google because we can easily keep up the data for the entire year with a spreadsheet. We update the data every two weeks. The file is shared with the teachers and intervention staff. 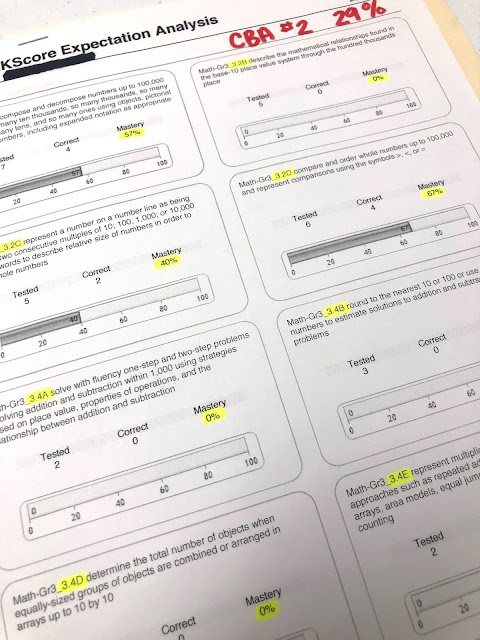 While we are in PLC meetings, we pull up the data with our MacBooks and see the gains of each student. 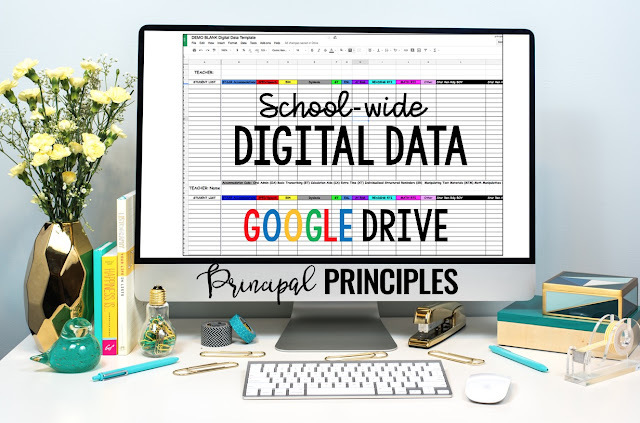 If you are interested in this Google spreadsheet, click here to make a copy of my file. FYI: I do not work or have any connections with DMAC. It is just a data system that my district uses and is beneficial to us. I have this template for the teachers. As we discuss each student we make notes on situations/students who may need something more. This could be a quick folder review and review their historical data, or a referral to special education, or referral to 504 services, etc... This form is given to me and I start following through with helping the teachers get what they need to proceed. This is a Study Plan template for students. We simply fill it out or have students fill it out. Then students will use the study plan to complete a set of assignments in Education Galaxy, IXL, or paper-based assignments as determined by on their data. You might even call this a learning plan. At my school we refer to it as a study plan. My school seeks to continually raise expectations, innovate, and amplify student achievement. Personalized learning is the key for which high-quality instruction is delivered. We are all about using data in a purposeful way. As you can see this is not a one size fits all kind of instruction. The outside of the folders are color-coded (without the labels for confidentiality purposes). The color codes are for the teachers to remember all the special programs a student may be identified under. Students use the form below to graph all their content-based assessments. The process is very important. Students need that visual to see their growth or areas of weakness. 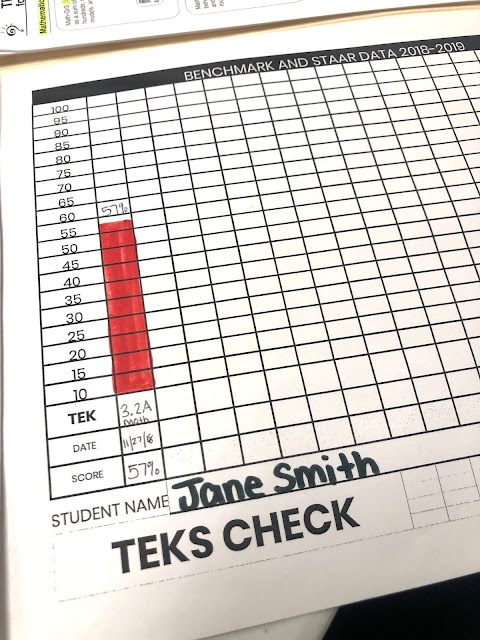 Our state standards are called TEKS. Students will also graph individual standards for both reading and math. This is how students know what study plan to create. We monitor the standards not being mastered and design as specific plan for them. We want to close the gaps in these standards as quickly as possible. The most effective way to do that is to create a plan that truly identifies their weaknesses. Students also set goals to reach. This is an important piece. We want students to take ownership of their own learning. I'm going to admit that personalized learning is a hidden jewel. My campus went from a very low accountability rating to an "A" rating in ONE school year! One significant factor is a well-designed RtI system where student data is consistently measured.